This is a shoutout to all of the friends who are tasked with the incredibly high honor of officiating your friends’ weddings. Your good friend asked you because you have that silky voice; you have a way with words; you have that je ne sais quoi of commanding everyone’s attention; you’re funny but sincere; you’re basically totally awesome. 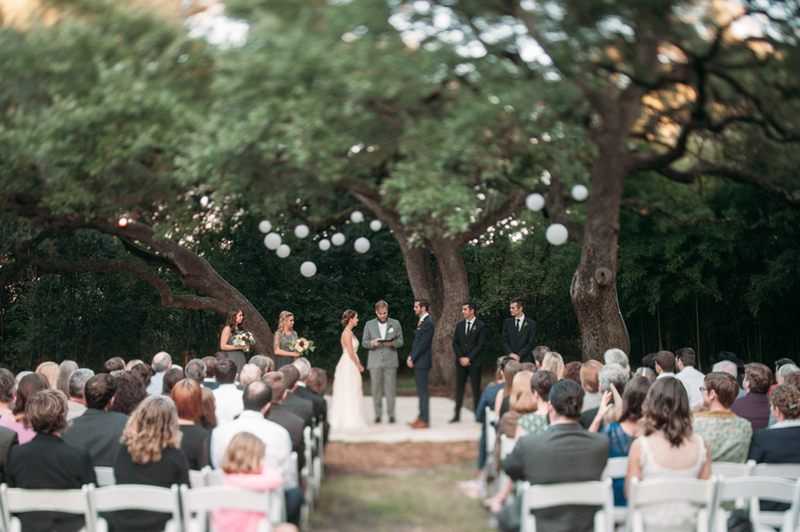 So imagine this: you’ve written this gorgeous ceremony. You have all of your notes, with cues as to when to call up a friend doing a reading or the moment to ask for the rings. You’re ready to go. And you’re about to start walking up the aisle with your good friend behind you, to wait at the altar, and you are a minute away from starting your big speech. Here are the things I wish I could tell all friendly, non-professional officiants before they start their ceremony. Three really easy things that sometimes get overlooked by the big-picture stuff. One: Tell everyone to sit down. This is something that gets completely forgotten! Guests are conditioned to stand when they see a bride start to walk down the aisle. (It’s usually a bride. Sometimes it’s the couple, walking themselves down. Sometimes there isn’t even a bride at all.) Guests will do this, unbidden, because it’s part of the wedding tradition. But they don’t really know when to sit down. Customarily, there was a time when everyone stayed standing for the father-daughter giveaway, or a religious recitation, and were asked to sit afterwards by the priest. You’re a friend who is in command of this crowd now. Gently remind people that they can take a seat after the aisle walk but before all the long, official stuff. I’ve actually seen a few ceremonies where guests weren’t prompted to sit, so they remained standing. It’s a little awkward. It’s not super comfortable for them. And it makes for some uneven photos. Do your friends a solid and remember to insert that little bit into your ceremony. Two: If you’re miked up, remember to share. Let’s hear it for the people in the back! Oftentimes, the officiant is the only one who is miked up by the sound engineers because it’s what makes the most sense: you’re standing in one place and you’ll be doing most of the talking. But folks attended the wedding to hear the couple recite their vows. 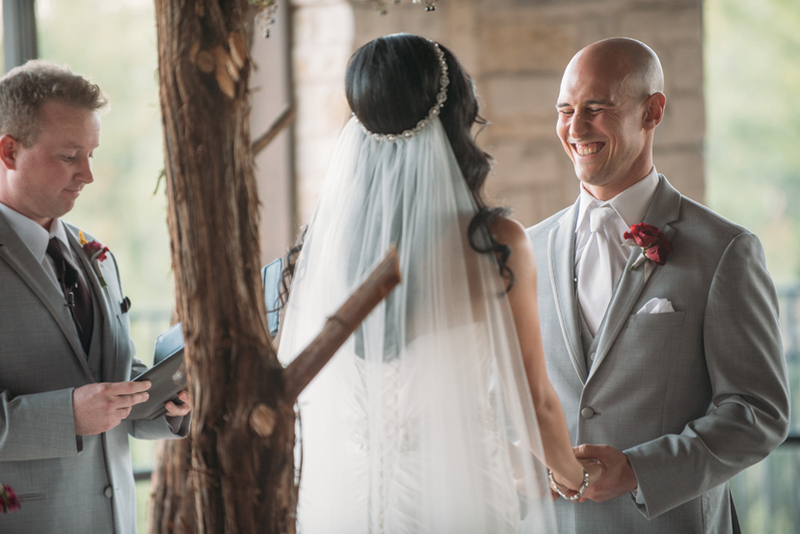 If you have the little microphone pinned to you, ask the sound engineer if it’s sensitive enough to pick up the couple’s voice if they’re standing a foot away, or if there’s a way to pluck it off and hold it in front of the couple while they talk. If it’s a larger microphone on a stand, point it in the direction of the person speaking so everyone can hear what’s being said. Three: Step to the side during the kiss. Any side! Take a step to the left, take a step the right. The traditional “first kiss” shot of the ceremony is usually straight down the aisle, and if you are still standing in the middle of them, we get a tiny hint of your grin in the space between the couple’s necks. It’s eerie. If you step to either side, your entire face can be in the photo, and you won’t be in between them. It’ll make for a better photo and you’re still in the shot! 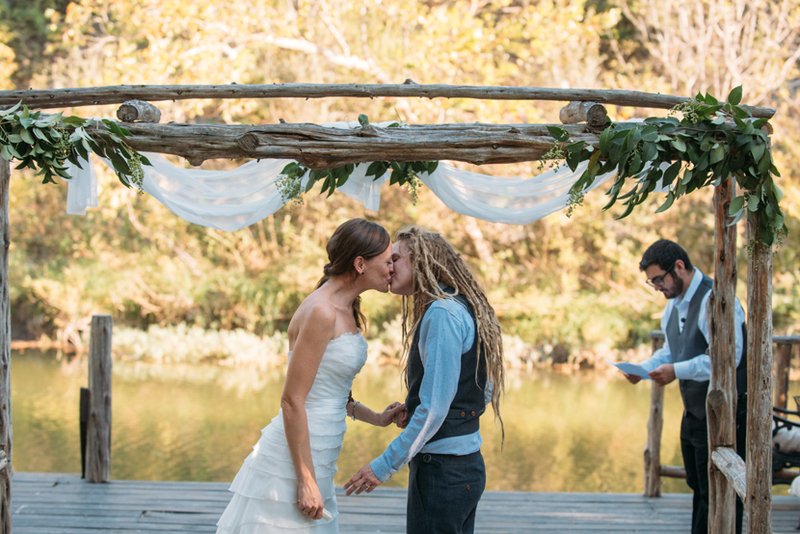 Photos from various weddings where the officiants did fabulous jobs! Rachael and Andrew’s officiant had everyone sit. Deb and Zach’s officiant shared his microphone. Katie and Lacey’s officiant stepped to the side. Yay!